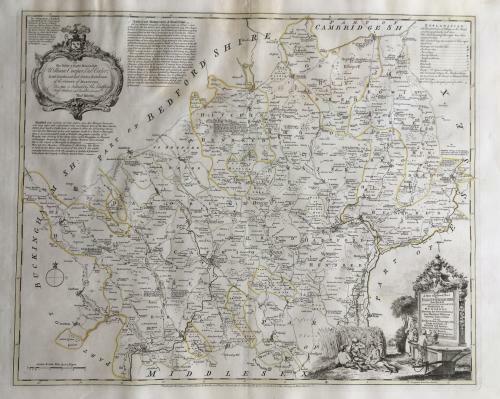 An intricate and elegant map of Harfordshire by Thomas Kitchin produced in the 1760's. Very subtle original colouring of major boundaries. In very good clean condition.